Just need the car in the garage to match. @ Macguy- Those 8000s look stunning in white! The fact the right speaker is toed in too far makes my teeth itch. No Darling, I've had it months! It was recently used by HQ on an advert IIRC. Here is my Humble System with mascot and mascot's Page. Thank you. What he lacks in low frequencies he more than makes up for in charm and handsomeness. I kept looking at that thinking it was a trophy cabinet and wondered what had been won - but yes, it probably is just their drinks cabinet. 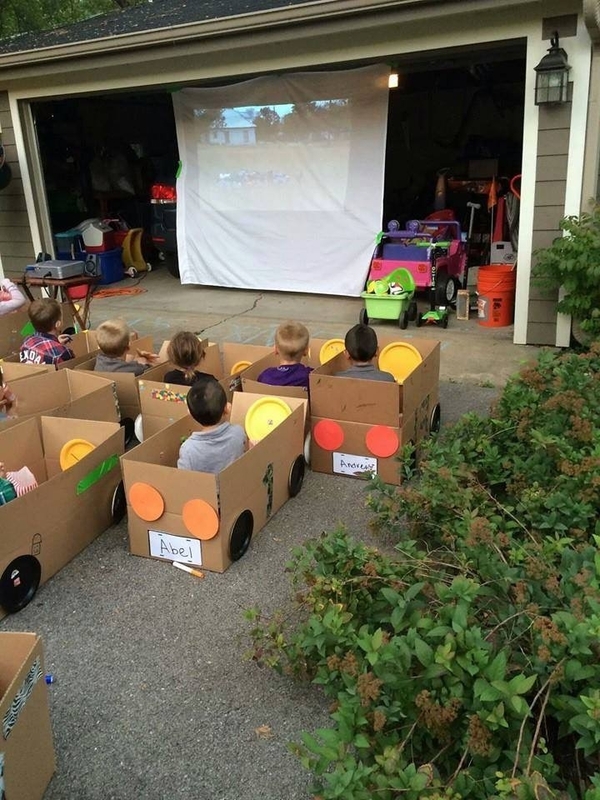 Love the kids' car boxes! Is that a Screen Innovation Zero Edge screen? What was the movie BTW? Audio: MC200, G61R SL, HD621, DSP5500, 5500HC, DSP3100. Subs: 2 x REL Gibraltar 2. Video: JVC X70, Black Diamond Zero Edge screen 129"(2.35). I love little Abe sat there with his Mohican hair cut, and the fact he has sneaked a cigarette into the drive-in too. 4 registered (Vorticity, Carl, Pieter dVR, KTMsteve), 30 Guests and 2 Spiders online. Generated in 0.022 seconds in which 0.006 seconds were spent on a total of 15 queries. Zlib compression disabled.